So it’s been a lucky week for me, not only did I win the biggest blogging gig of my life, I was also lucky enough to win a brand new (limited edition!) Urban Decay eyeshadow palette from London Beauty Queen. Cheers LBQ! 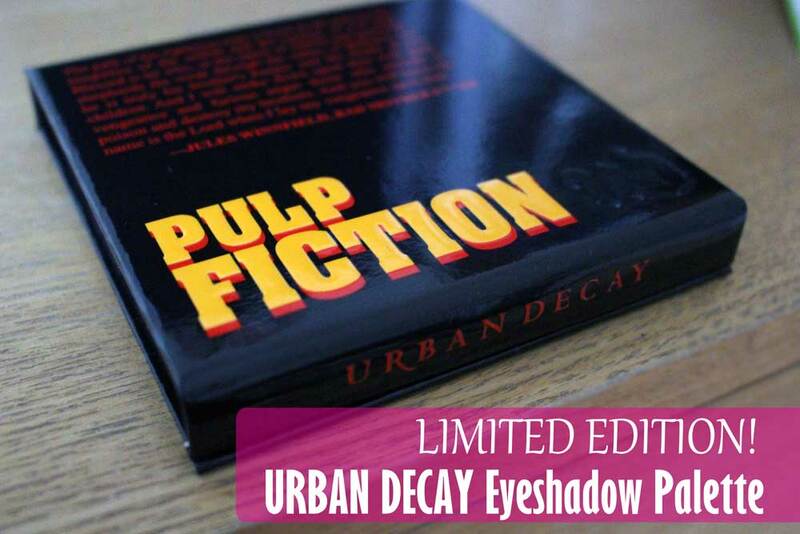 And it’s not just any Naked basics palette though, it’s the limited edition Pulp Fiction palette, beautifully inscribed with Pulp Fiction quotes and 90’s graphics. Isn’t it BEAUTIFUL?! I only got it yesterday but I couldn’t wait to crack it open and give it a go. Consider this post hot off the press! 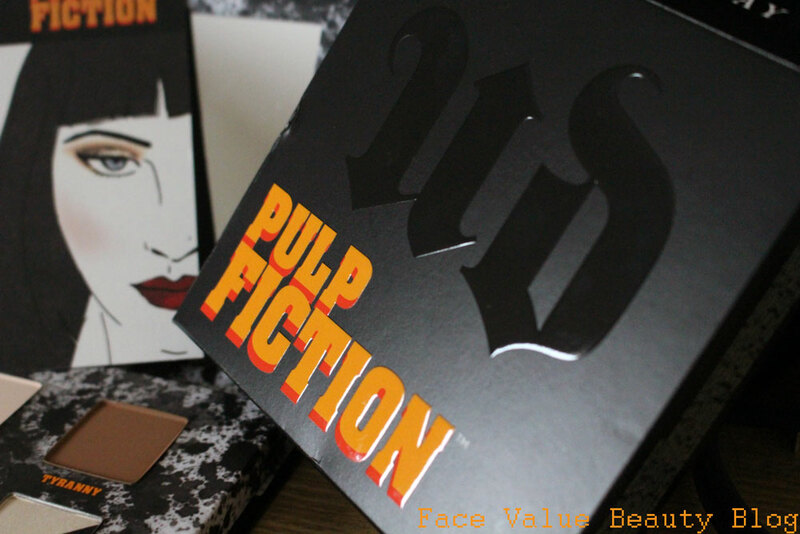 The Pulp Fiction palette is basically 5 eyeshadows – 3 general use shadows, a highlighter and a liner. Let’s just take a minute to truly appreciate how GOOD Urban Decay eyeshadows are. Butter soft and supremely blendable, Urban Decay eyeshadows are really long lasting and a joy to use! It comes with a great double ended brush. Seriously! Normally palette and gift set brushes are just rubbish, but this one is one I’ll be using everytime. It’s got a fluffy, yet dense, shadow brush on one end and a firmer, thinner, slightly pointed liner brush on the other. I applied Righteous, the cream colour, all over the lid up to the brow bone, followed by the bronze shade, Tyranny, all over the lid up to the crease. Next, the darkest brown, Vengance, goes in the corners and smudged into lower lashes. The Furious black liner was winged out using the liner brush damp. Finally the white Anger highlighter is applied under the brow and in the corners of eyes. There’s more in the Pulp Fiction collection too! I’ve seen a glittery eyeliner, a Mia Wallace Revolution Lipstick and Lipliner by Urban Decay too! The Mia Wallace lipstick is a deep, wine red colour. Here I’ve used the Smashbox Longwear Lip Colour in Mulberry, which is a lovely plummy burgundy. This Pulp Fiction look is super easy to recreate – just don’t forget to blend any hard edges with a small, fluffy brush! The blending brush by E.L.F cosmetics is great for this. 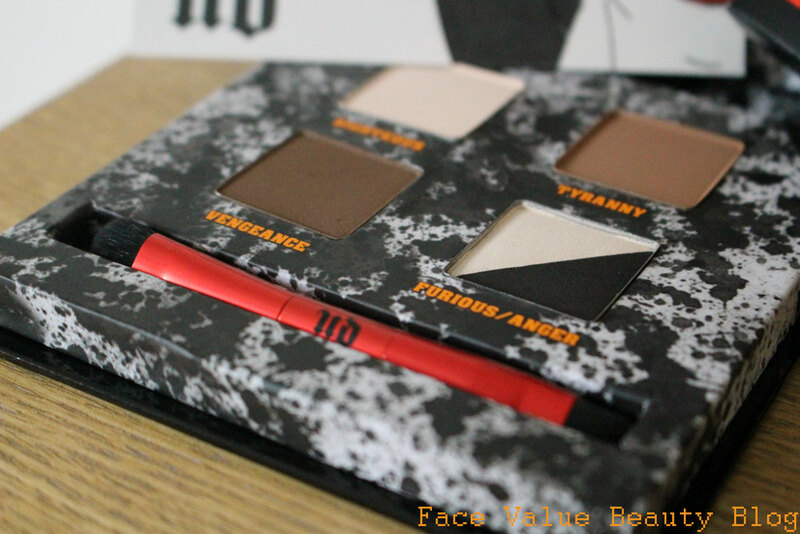 And there we go honey bunnies – a quick play with the Pulp Fiction palette by Urban Decay. For £17.50, I’d get it because it’s also a good travel palette for me. The browns can be used to contour and there’s a liner and highlighter too. It would have been perfect if it had come with a different texture in the box too – like another shimmer shade perhaps. I love a multi-tasking palette though! What do you think? Is this one for your list?! HAPPY WEEKEND! Hope it’s a lucky one for you. 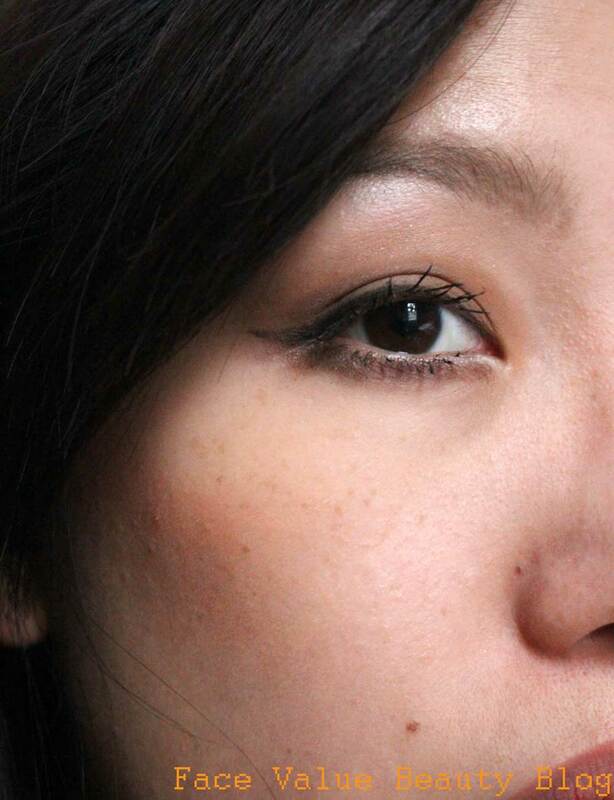 Natural Makeup Look with Stila In The Light Palette! ‘After Dark’ Makeup Look using Stila In The Light Palette! GOSH Copenhagen New SS16 Makeup Launch! Previous Post FVB at LFW! WTF? Next Post VICHY Normaderm Part 2: The Results! Oooh Danni, that colour would be amazing on you! Buy buy buyyyy!